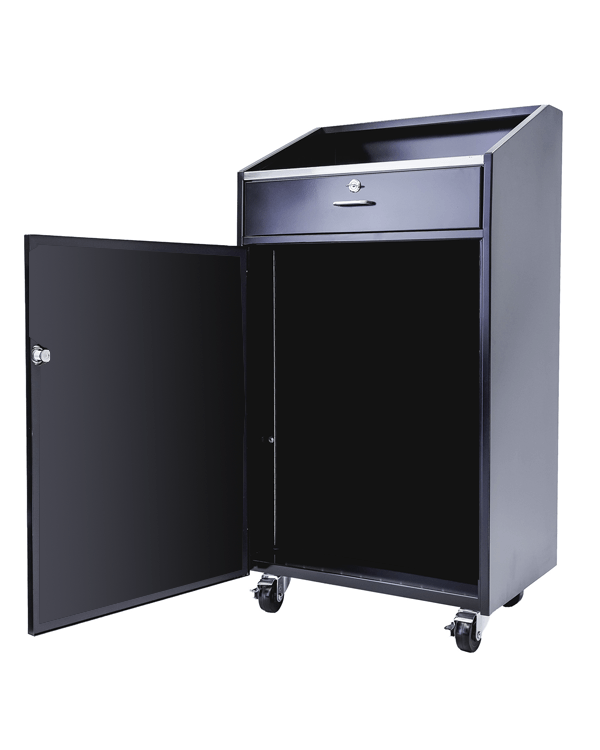 Podium shell, door and interior shelves are constructed out of 16 gauge formed electro-galvanized sheet metal and exterior counter top is constructed out of 16 gauge formed stainless steel to endure heavy uses. The storage drawer is mounted with (2) heavy duty ball bearing 17” full extension drawer guides including 1 heavy duty cam lock and 4” pull handle. 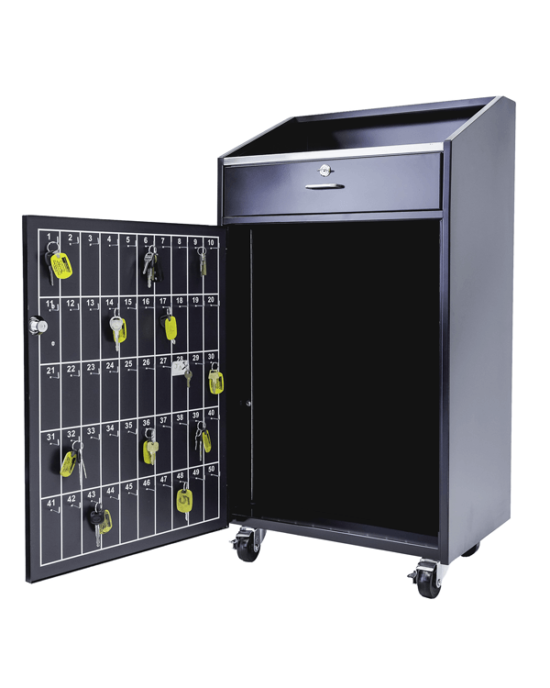 Equipped with (2) 3” heavy duty swivel lockable casters and (2) 3” heavy duty swivel casters Finished with 2-part semi-gloss polyurethane.